Improving relations between the two Koreas cannot be done in the absence of cultural collaboration. In this regard, the two Koreas’ joint compilation of the Korean-language Gyeoremal Comprehensive Dictionary and exploration of the palace of Manwoldaegung in the North’s Kaesong -- the royal seat of the Goryeo Dynasty (918-1392) -- represent important steps in the right direction. The reunification of the Korean culture, which has experienced separation and divergent outgrowth since the Cold War, is a critical element of the two states’ rapprochement, and many former socialist countries of Central and Eastern Europe can play an instrumental role in this endeavor. As newly appointed Hungarian ambassador to Korea and a former professor of Korean studies at the University of Budapest, I believe that Central and Eastern European countries play an important role in identifying and bringing to life the forgotten pages of the Korean heritage. Particularly, the experience of Hungary is worth mentioning. The first formal contact between Hungary and Korea took place in 1892, when the Habsburg Empire and Joseon signed a friendship treaty. However, there was no substantial bilateral contact in the aftermath. The core elements of Korean culture were introduced to Hungary during the Korean War (1950-53) by North Korean intellectuals who visited Hungary. They were already well-known artists during the Japanese colonial era, and after the liberation they decided to continue their work in the North. One of the best-known migrants to the North was Choi Seung-hee, a dancer who is now regarded as an iconic figure in contemporary Korean dance. Choi and her troupe visited Hungary in 1951 and gave sterling performances in front of dazzled crowds. Among writers who visited Hungary were Yi Tae-jun, also known as the “Korean Maupassant,” and Han Sor-ya, whose novel, “Taedonggang,” was translated into Hungarian. In addition, the works of poet Rim Hwa were translated into Hungarian. The first Hungarian who extensively studied Korea was Aladar Soveny (1914-1980), who worked as cultural attache at the Hungarian Embassy in Pyongyang in the mid-1950s. He was actively involved in translating Korea’s literary works into Hungarian. The observations and writing by the scholarly diplomat provide important details on North Korean contemporary cultural life, particularly as many intellectuals fell into disgrace and their works were banned. 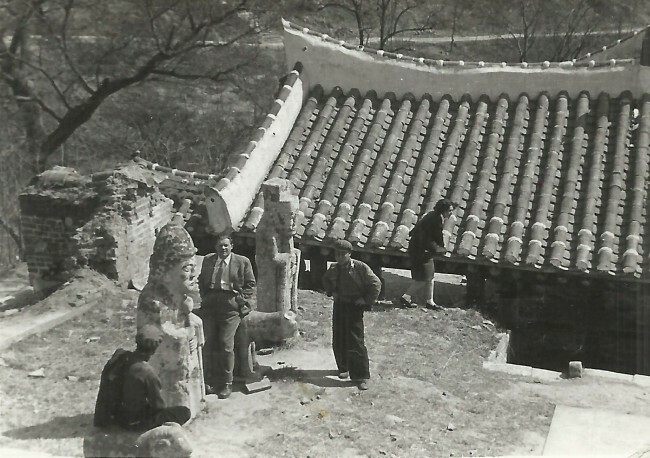 Several photographs by Hungarian medical doctors working in North Korea in the 1950s and Hungarian engineers involved in rebuilding the country also give important clues. In 1955, Soveny took photographs of the tomb of King Kija, who, according to chronicle “Samguk Yusa,” became the ruler of the ancient Korean kingdom of Gojoseon in 1122 BC. The tomb was demolished by North Korean authorities in the 1960s, who deemed it was incompatible with the country’s Juche ideology propagating national self-reliance.